Sir –The United Nations Charter enshrines the right of peoples to self-determination, and the Universal Declaration of Human Rights also guarantees a right to change nationality; the UK is a signatory to both documents. Politicians in both the Scottish and British parliaments have endorsed the right of the Scottish people to self-determination. The guarantee in the United Nations Charter is accepted in the case of Scotland, but not in the case Somaliland. The decision of the Somaliland people’s referendum in 2000 to regain their rejected freedom in 1960 is permanent and irreversible. The independence of Somaliland is not a dream but a reality in the hearts of minds of Somaliland people since May 18, 1991. Somaliland not only deserves recognition but also a World Nobel Peace Prize for its achievement in peace, reconciliation and good governance. The Somaliland people chose their destination 23 years ago in a democratic process after 31 years of failed voluntary unification with former Italian Somalia. 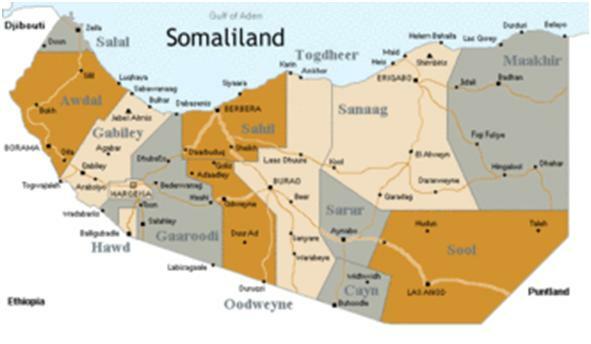 The Somaliland people are suffering double standards and global injustice, which denies them their legitimate right for self-determination and for regaining their independence received from Her Majesty’s Government on June 26, 1960.